A few moments before the early close today at 1pm EST, keep an eye later this week an next week on AMZN as another short setup. On the daily chart, first below, note the potential bear wedge breakdown (yellow arrows) after a bull trap or false breakout several weeks back. 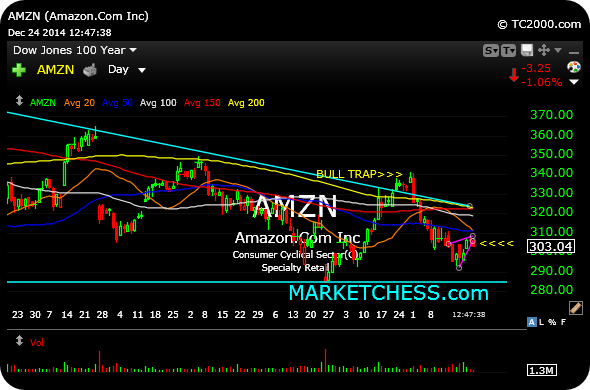 AMZN remains a damaged chart in a downtrend for all of 2014. 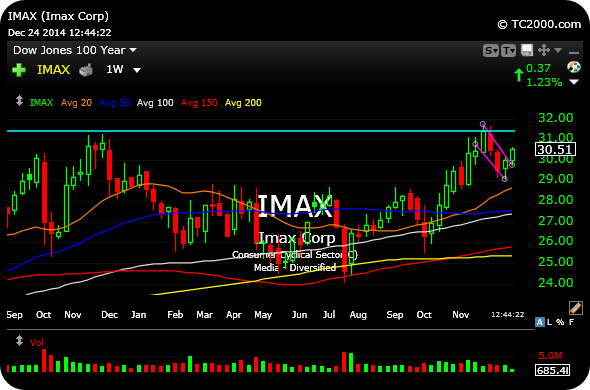 And on the long side, IMAX is still a year-end short squeeze candidate into the height of the holiday movie season.